These Arctic-like temperatures are getting me seriously longing for spring. 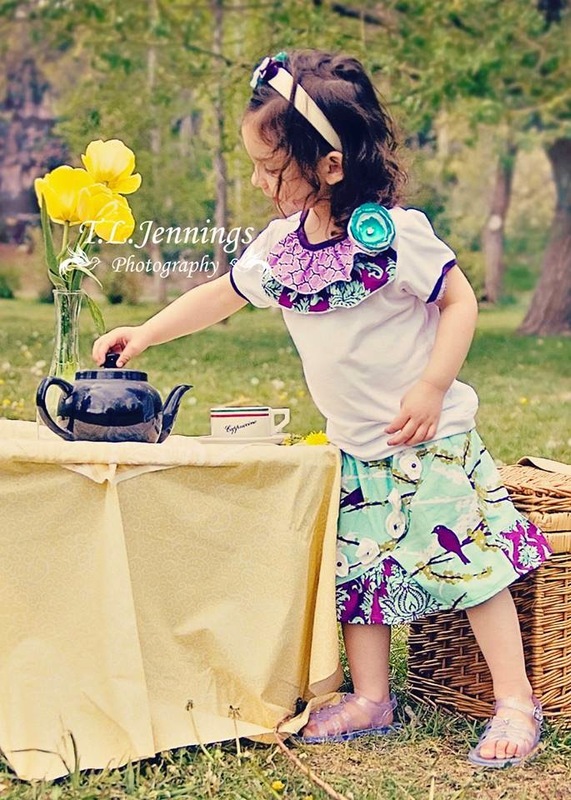 I'm planning out more spring sewing projects to compensate for the current cold, so today I'm showcasing a great spring pattern from my lovely advertiser: Terra's Treasures, The Manhattan Skirt pattern. The Manhattan Skirt paired with the Provincial Top. 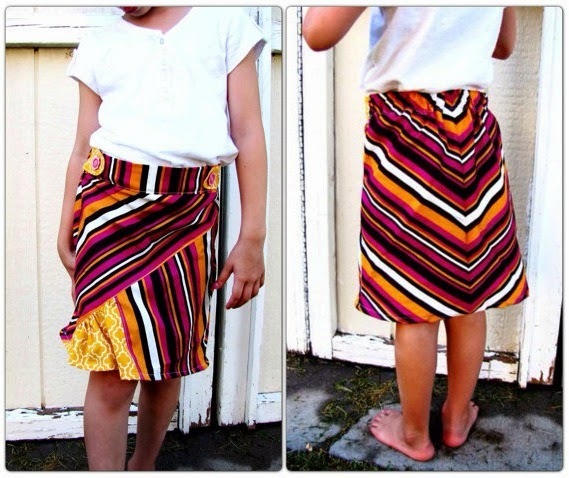 This fun little skirt is cut on the bias for great movement and flow as it's worn. It has some great details like being and option to do either a flap button or simple front. The Manhattan Skirt paired with the Main Street Tee. Provincial Top, Monkey Pants, Offbeat Oxford Shirt and Andover Pullover Top. - Large size ranges for each pattern so they can be used for years. - Full color photos and easy to follow instructions suitable for beginners. 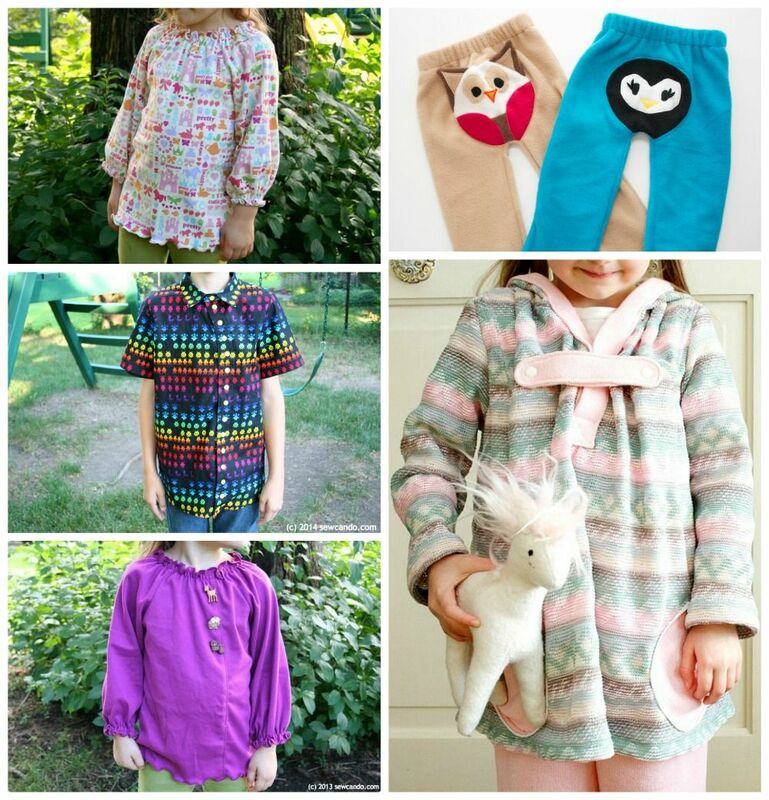 - Great tips & tricks for sewing knits without a serger. 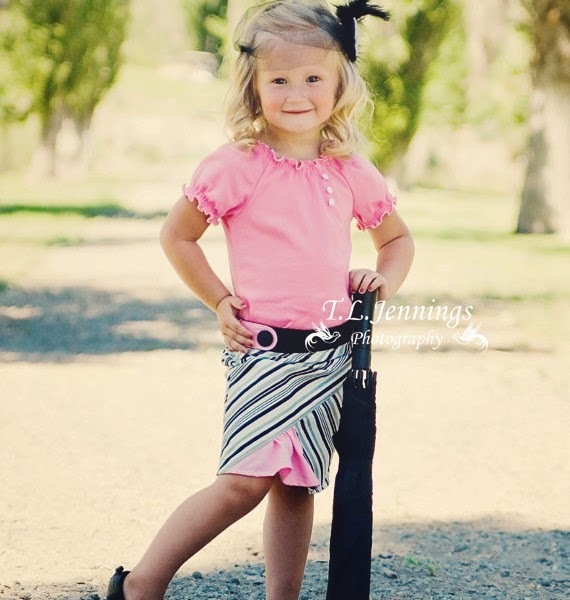 - Many that work for both boys & girls - no need to buy separate patterns! 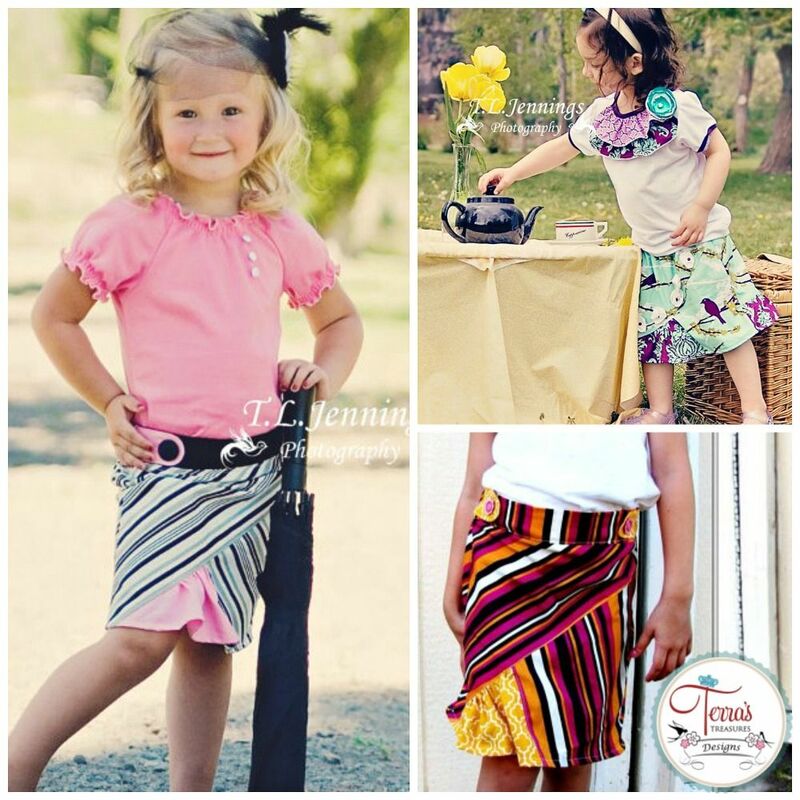 Right now Terra's Treasures is offering a huge sale - 30% off ALL patterns now through 2/25. It's a great time to grab some new patterns, including the The Manhattan Skirt, and get those spring wardrobes going! Terra's Treasures is a paying advertiser on Sew Can Do. The opinions are completely my own, based on my experiences. For my complete disclosure policy, see HERE.